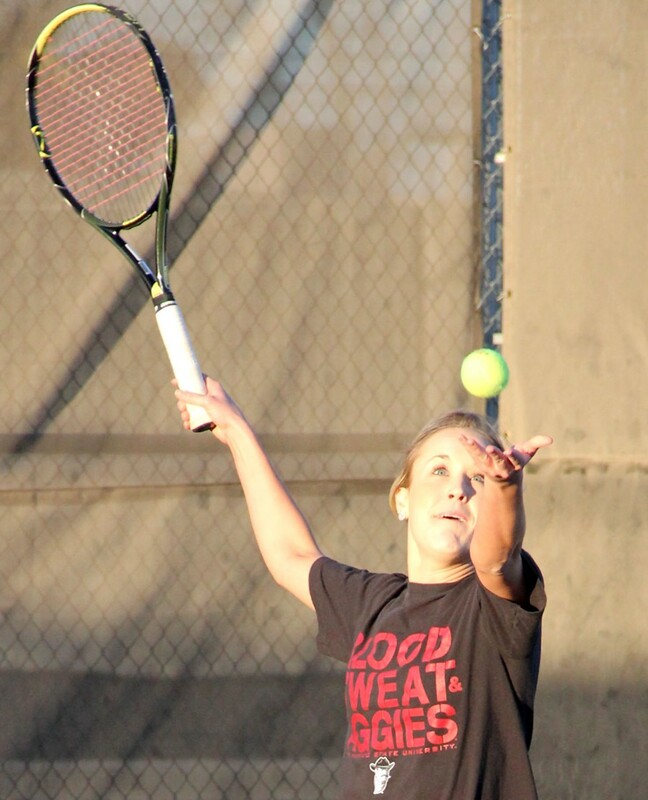 The winds were a blowing on championship Sunday at the Tennis on Campus Championships – Southwest in El Paso, Texas, and they also were a changing. 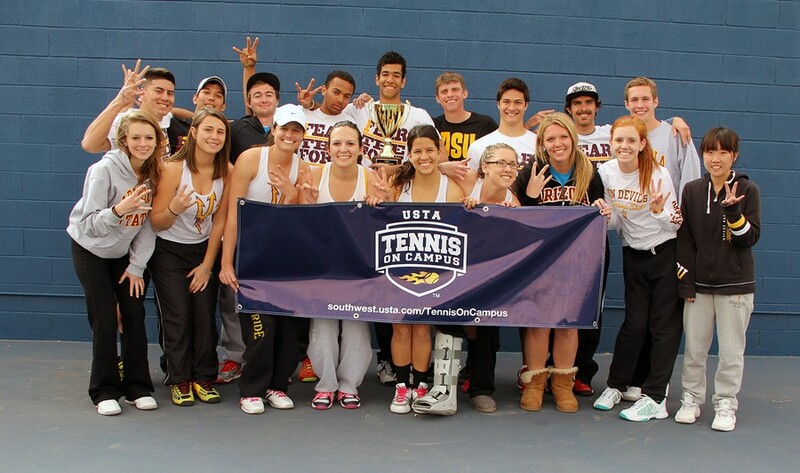 Arizona State finally put a muzzle on its closest rival Arizona, by ending a three-year Wildcat stranglehold on the Southwest Tennis on Campus Championships crown, capturing the crown with a dramatic 27-26 overtime victory. For the Sundevils, the 2013 championship victory was sweet redemption for a three-year stint of bridesmaid finishes to their rival. Heading into the final mixed match of the day, Arizona had a convincing 22-16 lead, after line wins in girls doubles, boys doubles, and boys singles. But the Sundevils mixed duo of Corey Rizzi-Wise and Amanda Moore put in a valiant effort, winning 11 of the next 15 games, including a six in a row with the overtime supertiebreaker to notch the come-from-behind victory. 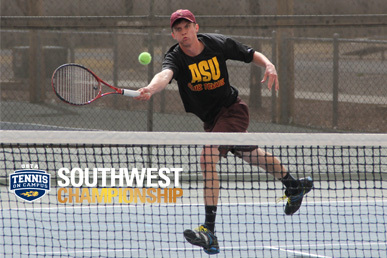 Tennis on Campus uses the World TeamTennis match format style, so the final match on always has a chance to catch up, which is just what the Sundevils did. Winning team members from Arizona State were Riley Chadwell, Amanda Moore, Kathryn Cantrill (team president), Sherif Monsour, Sean Seyler, Naida Ortego, Cole North and Corey Rizzi-Wise. For their part, Arizona had already been assured of a spot in the 2013 USTA National Tennis on Campus Championships by virtue of winning the 2012 USTA National Spring Invitational. The Cats' victory last spring also opened up a third bid (the Section normally gets two automatically) for another university from the Southwest. This year that bid was taken by New Mexico State University, also in dramatic fashion. The Aggies of New Mexico State defeated New Mexico in the quarterfinals of this year's event in El Paso, edging their in-state rival 26-25 in a supertiebreaker in overtime. New Mexico State's one-point victory over the Lobos assured them of a semifinal spot, and their first-ever trip to the national championships (since University of Arizona had placed two of its' squads in the semifinals, along with Arizona State and only one team from an individual university can to a national spot). The three-day tournament featured schools from each of the state universities in Arizona and New Mexico, along with University of Texas-El Paso. Most of the schools fielded two or more teams each at this year's event. A total of 12 teams participated. For a complete list of results from the event, click on the links at the top of the page for bracket and pool play. 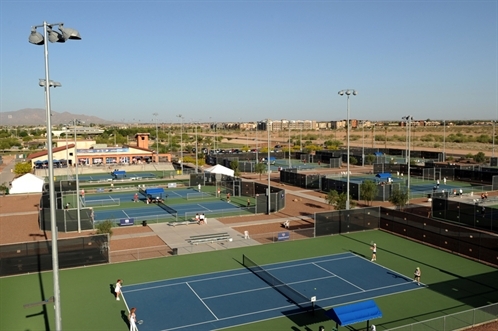 This year's event took place at the 22-court Ellis Tennis Center in El Paso, Texas. A big thanks goes out to Tennis Warehouse for donating raffle prizes of bags and gear. Or players loved it! Thanks also to World TeamTennis' Elaine Wingfield for assisting us in running the event, and to USTA Greater El Paso Tennis Service Representative Bill Tepsick for all his help as well. Thanks also to all the players for participating in and traveling to the event and for being such troopers, especially when the conditions got rough on Sunday with the heavy winds. Thanks also for participating in our Harlem Shake video! That was a lot of fun and Matt Whitcker, our dancing masked man and his smooth moves were incredible. Check back to our Facebook page and our Instagram page for more pics from the event (#swtoc13). We will post a gallery later. Good luck also to all our teams competing at Nationals in April (Arizona, Arizona State and New Mexico State)! Bring back some hardware. 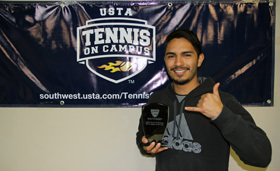 Next year's Tennis on Campus Championships - Southwest event will be held in Albuquerque, New Mexico at a date and location to be determined.